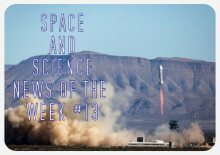 This week’s round of space and science news is again a collection of articles posted in my Space & Astronomy Collection on Google+ and in the WSH Crew Community, plus a couple of additional ones that caught my attention. 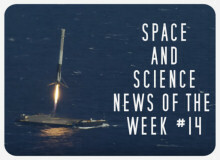 I didn’t really expect the Easter edition of the news roundup to be that big and at first I wanted to skip a week because of the holidays, but in addition to the Lunar and Planetary Science Conference there were actually a lot of other interesting things happening! Last week we had the Cygnus transporter arriving at the ISS with some drama afterwards about performance problems of the Atlas 5 rocket, more drama about ExoMars followed by debris of its exploded booster, comets buzzing the Earth, lots of fascinating news from the Pluto system courtesy of LPSC, an even closer look at Ceres’ spots and much more. Fasten your setabelts! 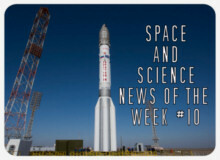 This week’s round of space and science news is again a collection of articles posted in my Space & Astronomy Collection on Google+ and in the WSH Crew Community, plus a couple of additional ones that caught my attention. It’s a bit less than last week, but the big events everybody has been waiting for have now happened: ExoMars has successfully launched and a new crew has also gone up to the ISS without problems. 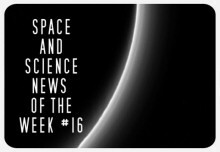 There were a few other interesting news, including the now very heated political fight around ULA, new Pluto science, Ceres still puzzling everyone with its spots which now seem to blink and exciting science experiments going up to the ISS on the Cygnus freighter next week. ExoMars is on the Way! Yeserday, the first Mars mission to touch down on the red planet since Curiosity in 2012 has launched. The joint ESA and Roscosmos ExoMars Trace Gas Orbiter with its Schiaparelli lander is actually only the beginning of a two-part mission that will have a sequel in 2018 with the ExoMars Rover. So why is this so exciting? Originally, ExoMars was supposed to be a combined ESA and NASA mission before the US cancelled it for budget reasons in 2012. 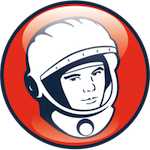 ESA saw this coming in late 2011 and had already talked to Roscosmos for a possible collaboration before the bad news actually came and fortunately the project was able to go ahead with Roscosmos as the new partner. 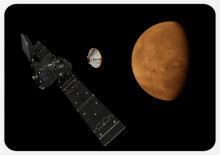 ExoMars is really the Mars mission that almost did not happen! I don’t usually write articles like this one much anymore, but I’m making an exception because I’ve written about almost every Mars mission before and I just want to continue that. 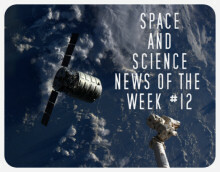 This week’s round of space and science news is again a collection of articles posted in my Space & Astronomy Collection on Google+ and in the WSH Crew Community – plus a a couple of stories that I hadn’t actually gotten around to share because there was so much going on. Last week I was thinking of giving up this weekly posting, but the feedback was so positive again that I decided to keep it going – at least as long as I have the time to put it together. And there were a lot of interesting things happening this week, although there wasn’t one story particularly standing out – that will probably come tomorrow when ExoMars has launched, but I wanted to post this on Sunday to get back into the regular rhythm. 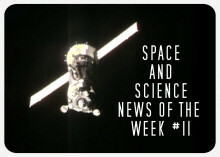 So here are a lot of good news for space and science with only a little bit of politics mixed in! 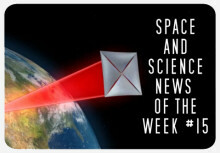 This week’s round of space and science news is again a collection of articles I posted in my Space & Astronomy Collection on Google+ and in the WSH Crew Community. This was truly the week of all things happening with two events especially standing out: on late Tuesday, the One-Year-Crew of Scott Kelly and Mikhail Korniyenko arrived back on Earth after 340 days in space and while we haven’t heard much from Korniyenko in the western press, Kelly was immediately in the spotlight walking around only hours after his return and giving lots of interviews. And on Friday, SpaceX finally got the SES-9 satellite into space on the fifth attempt with a flawless launch, although the first stage landing didn’t quite work out when the booster hit the drone ship too hard after a very hot re-entry – but the mission was still an amazing success. 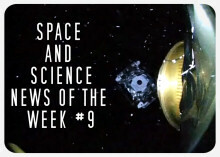 As usual, there was a lot of interesting stuff happening too, from some drama about fast radio bursts, fascinating news about clouds and ice canyons on Pluto, ESA’s ambitions to build a village on the moon and much more. Let’s go!